Beyond Trans: Does Gender Matter? – Heath Fogg Davis, Ph.D.
Do we need male and female signs on bathroom doors? Should schools, businesses, and non-profits ask us to check gender boxes on bureaucratic forms? 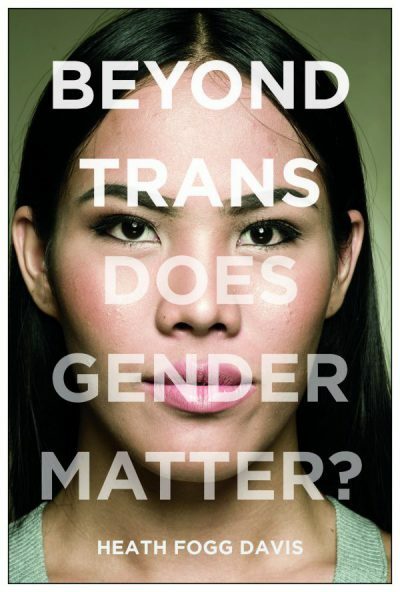 Beyond Trans: Does Gender Matter? (NYU Press, 2017) provides practical strategies to help organizations of all kinds and sizes design and implement gender policies that are both trans-inclusive and institutionally smart. In this book I question the usefulness of dividing the world into not just male and female categories but even additional categories of transgender and gender fluid. I draw from legal cases, policy debates, and my own experiences as a biracial (African American and white) transgender man, to explore the underlying policies and customs in American life that have led to transgender bathroom bills, college admissions controversies, and more. I argue that it’s necessary for our society to take real steps to challenge the assumption that gender matters.